4.Back section is made of American electro plate, X-ray available. 6.Four bumpers on easy corner. able to support over 250kgs. 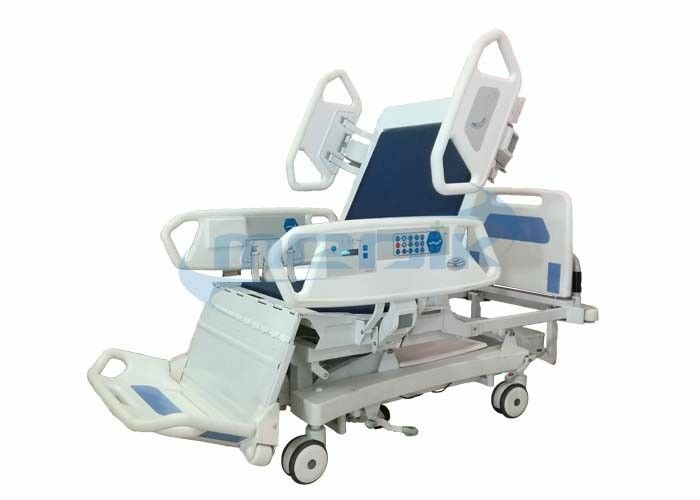 8.Backrest and footrest can move at the same time only by one button on the panel. to move flexibly, lightly and conveniently. 13.With infusion stand and drainage hook.